We’re extremely proud of the work we’ve done over the past decade to help schools in rural Derbyshire develop opportunities for high quality PE and sport. 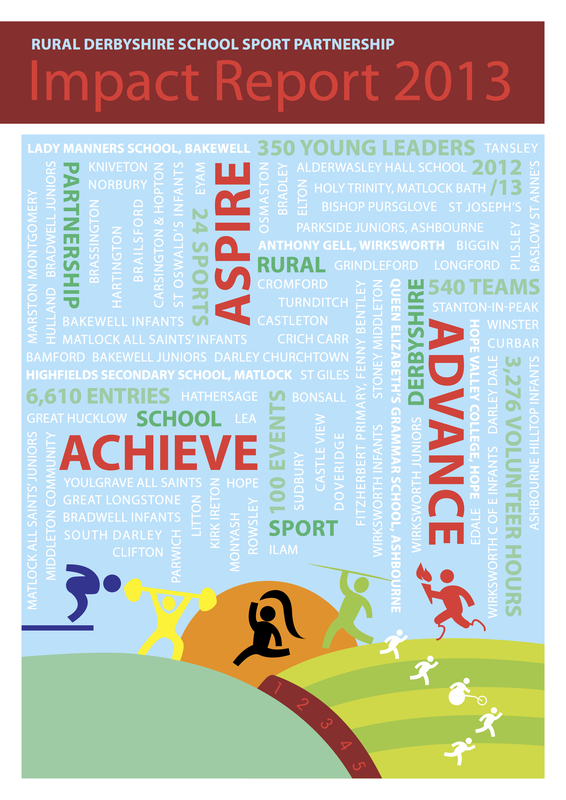 The Rural Derbyshire School Sport Partnership – established in 2001 – covers five secondary schools and 67 primary and infant schools across the whole of rural Derbyshire from Sudbury in the Derbyshire Dales to Edale, 50 miles further north in the Hope Valley. Our School Sport Coordinators (SSCo), based at the secondary schools, work closely with the Primary Link Teachers (PLT) in each of the cluster primary schools. The range of school sizes varies enormously from around 40 pupils in the smaller village primary schools to 1,500+ students in our largest secondary school. in Derbyshire 2012–2015, endorsed by Ian Thomas, Director of Education for Derbyshire County Council. We hope this Impact Report highlights some of our achievements and reflects our motto’s ambition ‘Advance, Achieve, Aspire’ – to encourage young people to push themselves, encourage each other and lead by example. Sport isn’t just about physical activity – it’s also about teaching the values of team-building, leadership, inclusivity and friendship. We are a partnership. We are grateful for the hard work and dedication of our talented team of School Sport Coordinators, the support from our local councils, clubs and coaches as well as, of course, the tireless efforts of the teaching staff. Last but not least, we thank our students past and present for their infectious enthusiasm and their parents for their continued support.